Carteret Carnival – Dog Friendly! Since I work so much during the week, I always try to spend as much time as possible with Toby on the weekends. But, you likely know that already since we are always posting photos to Facebook and Twitter of our adventures — most of which are in the Adirondacks. But this weekend, we decided to stay in New Jersey and got to see a bunch of friends and attended a festival that I remembering being not-the greatest as a teenager. It grew from a single-day event to a three-day festival — which is also dog friendly!! Toby was even allowed in the beer garden. We spent most of the day on Saturday at the Carteret Carnival, and had so much fun. It was nice to be able to be out with my friends and have Toby there with me. 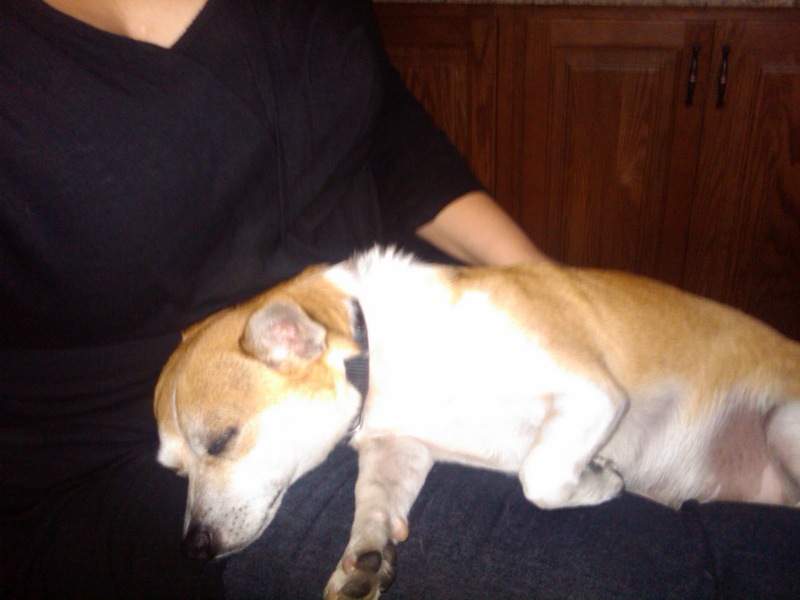 Even during the fireworks, Toby just curled up on my lap. 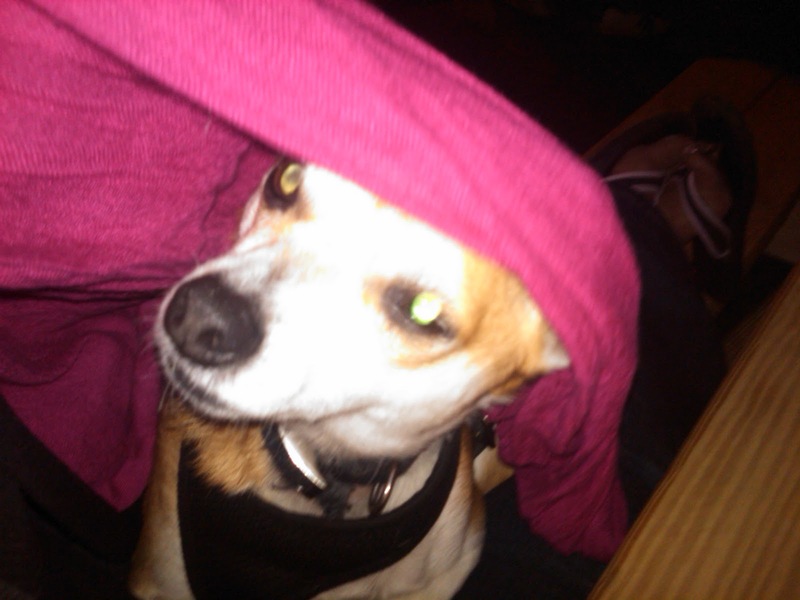 As it got dark, it did get a little colder, so I wrapped Toby in my scarf. He was pretty content as you can tell from the photos below. 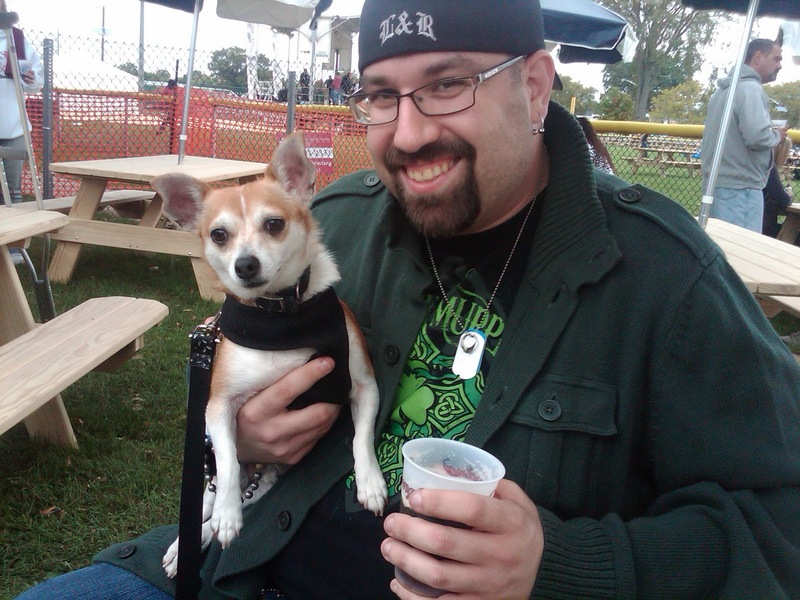 The boys — Toby and my best friend’s boyfriend — hanging out in the beer garden. There really is a puppy under that scarf! Home and pooped after a long day! Also, these pictures are too sweet!